Born at Enniskillen, Ontario on 20 October 1862, son of Robert and Abigail Hutchinson, he was educated at public schools and Albert College (Belleville, Ontario). In 1880, he started working as a clerk in his father’s store at Enniskillen. 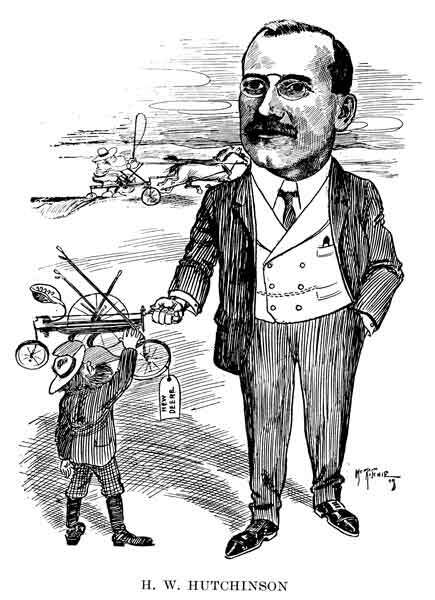 He came to Winnipeg in 1883 and joined Fairfield and Company in 1888. In 1911, he was Managing Director of the John Deere Plow Company. In 1923 he became a shareholder and director in the company. He was Vice-President of the Manitoba Anchor Fence Company and the Winnipeg Implement Dealers Association. 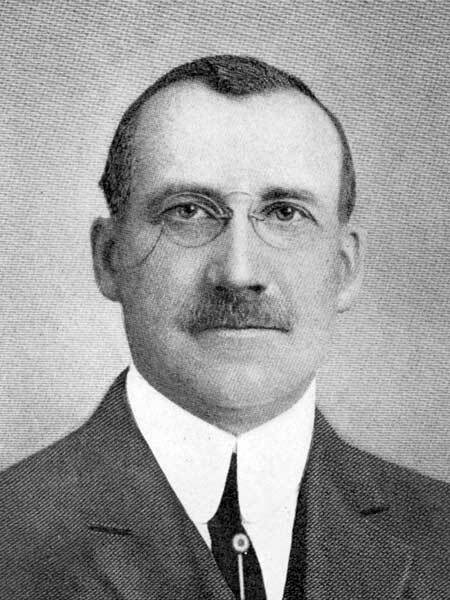 He was a director of the Bank of Hamilton, Western Grocers, Tees and Persse Limited, Dominion Fruit Limited, A. R. McNichol Limited, Fisher and Burpe Limited, and President of the Winnipeg Board of Trade in 1904. He served 30 years on the Board of Governors of Wesley College, and Chairman of Community Chest for four years. In 1899, he married Charlotte Isabella McGregor of Hamilton. They had one son. He was a member of the Manitoba Club, Canadian Club of Winnipeg, St. Charles Country Club, and a founding member of the Carleton Club. He died at his Winnipeg residence, 147 Westgate, on 18 June 1949 and was buried in Elmwood Cemetery. “H. W. Hutchinson executive, 86, funeral held,” Winnipeg Free Press, 21 June 1949.